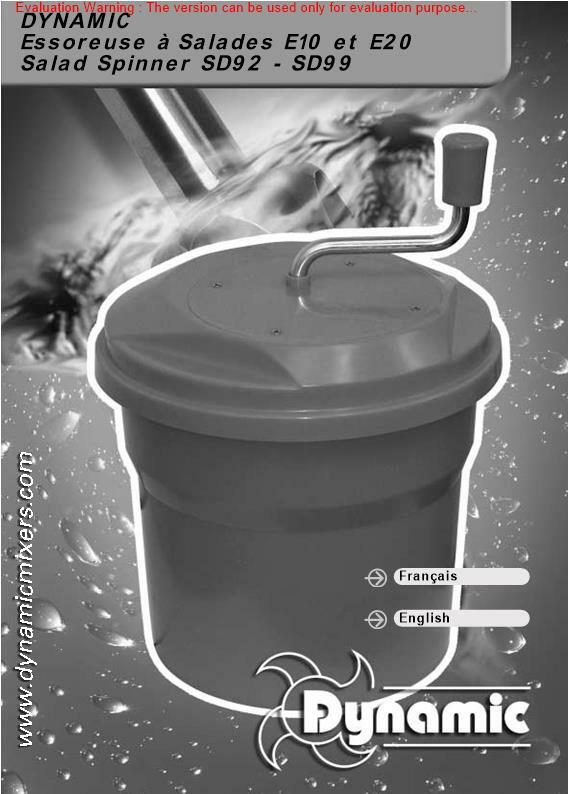 Guarantee efficient and effective salad drying with the premium Dynamic 10 litre manual salad spinner. Made with a manual wind handle and strong gear system, the spinner quickly dries up to four heads of lettuce at a time, ensuring your leafy greens stay fresher for longer to prevent wastage in your kitchen. Incredibly lightweight and sturdy, the salad dryer is perfectly suited to constant use in any commercial or domestic kitchen. HAACP compliant and easy-to-clean, the spinner is also incredibly hygienic, ensuring you always prepare in sanitary conditions.